I grew up in the 80s. I loved movies like Stand by me, E. T. and Goonies. Earlier this year, Netflix released Stranger Things, a fantastic TV show and homage to this era. All these coming-of-age stories share similar tropes. A bunch of teenage kids are getting involved in a mystery and adventure much bigger than their everyday lives. 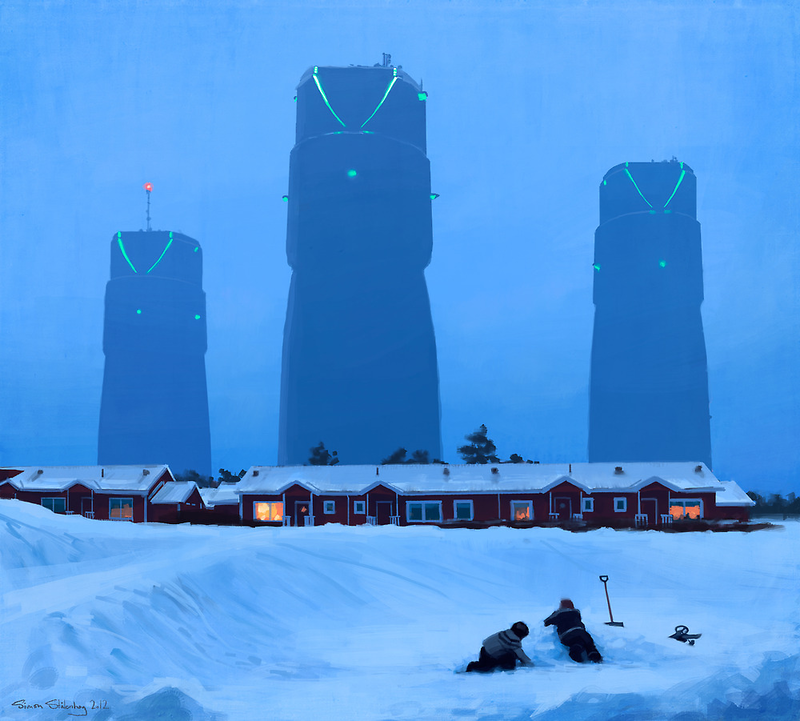 Fria Ligan (Free League Publishing) – the Swedish team of the roleplaying games Mutant: Year Zero and Coriolis – The Third Horizon is currently running a Kickstarter for their upcoming Tales from the Loop – Roleplaying in the ’80s That Never Was. 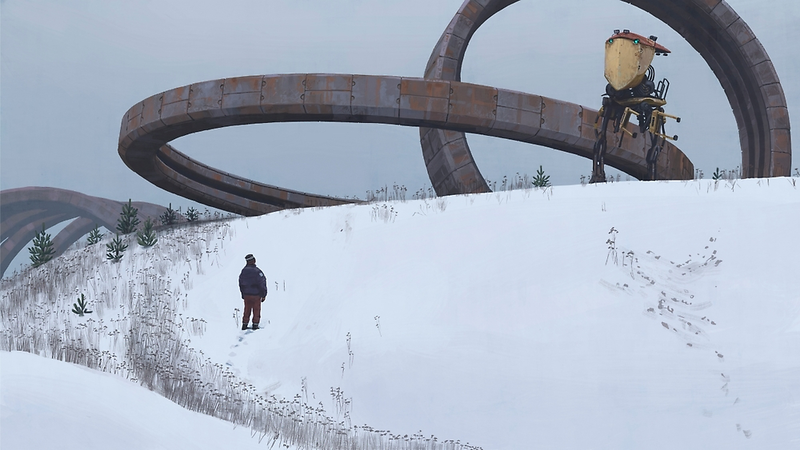 This project combines the spirit of those 80s flicks with Simon Stålenhag’s artisic world of the Loop. Thomas Härenstamm of Fria Ligan shared some of his insights. Enjoy our brief Q & A. Tales from the Loop is “a retro RPG, in the vein of ET and Stranger Things”. What does this mean setting- and system-wise? What are the major differences to your previous projects Mutant: Year Zero and Coriolis – The Third Horizon? Rolls can be pushed just like in Mutant Year Zero. However, the PCs don’t suffer trauma or damage, instead they can take Conditions – Angry, Scared, Exhausted, and Injured. If they suffer all four Conditions, they are broken. 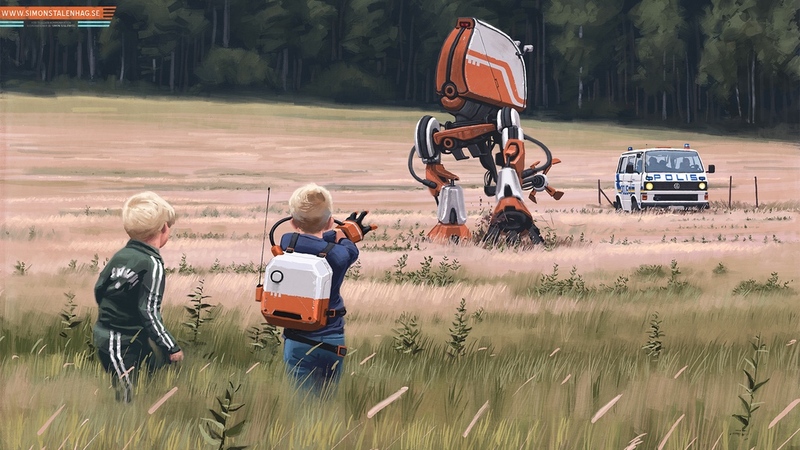 How is scifi artist Simon Stålenhag involved in this project? Where can fans find further inspirations? Simon is a partner in Free League Publishing and very much involved. Most of the art in the game is from his previous artbooks, but he is making some new art for the game as well. He is also in close contact with the game writers, like Matt Forbeck who is writing the chapter about the US setting. “In this pen&paper roleplaying game, you play teenagers in the late Eighties, solving Mysteries connected to the Loop.” Ok, these teenagers are Bookworms, Troublemakers, Popular Kids and Weirdos. What makes them interesting or special? They are group of friends? What are stories that players will tell? Which kind of threats will they likely have to oppose? Runaway robots, wild dinosaurs, and mad scientists – but also angry parents, bullies at school, and weird neighbors. You mention in your Kickstarter project description two Mysteries (aka settings) – one in Sweden, and one in the US (stretch goal). Do you have any plans to create other Mysteries or guidelines for groups who want to create their own adventure background? Yes! Another stretchgoal currently up is called a „Hometown Hack“, which will have guidelines for adapting your own hometown to be the game setting. Why do you think fans should support the Kickstarter for Tales from the Loop right now? As a backer, you will get a Beta PDF before Christmas! You get the chance to play the game months before anyone else, and your feedback can have an impact on the final game. Oh – and only though the kickstarter can you get a hold of the very cool limited editions, with deluxe cloth covers. After the Kickstarter, what kind of further development can fans expect? Any other projects you want to share? I heard rumors about a fantasy rpg based on the system of Mutant: Year Zero? Yes! We are working on a sandboxy, oldschooly fantasy RPG based on the Mutant: Year Zero engine, and based on the awesome classic 1980s art by the iconic Swedish RPG illustrator Nils Gulliksson. We recently published an artbook with his art. We are aiming for a Kickstarter in the summer. Even before then, we will have a campaign for the next installment in the Mutant series – Mutant: Machinarium, which is all about the robots. 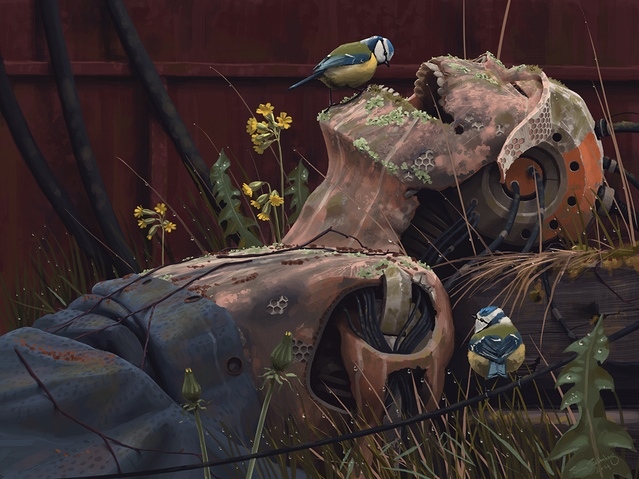 If you like Westworld, you’ll love Mutant: Machinarium! For further information visit the Kickstarter page of Tales from the Loop – Roleplaying in the ’80s That Never Was. Disclaimer: This is – not – a paid advertisement. I have neither a personal relationship to Free League Publishing (Fria Ligan) nor to the Tales from the Loop team. I bought and like their previous projects Mutant: Year Zero, Mutant: Genlab Alpha and Coriolis – The Third Horizon. I’m a normal backer of the Kickstarter for the Tales from the Loop RPG. Can’t wait to see this game published. I like MYZ and the zero system. A good and fast system. And Coriolis looks great too.